Transcatheter aortic valve replacement (TAVR) has been established as a therapeutic option for patients with severe symptomatic aortic stenosis who are of intermediate or higher surgical risk. Several periprocedural complications are reduced with newer transcatheter heart valve generations; however, conduction abnormalities and the need for permanent pacemaker implantation have remained unchanged and are the most frequent TAVR complications. The close relationship of the atrioventricular node and left bundle branch to the subaortic region explains these potential conduction abnormalities. This article highlights conduction abnormalities after TAVR with a focus on basic conduction system anatomy in relation to the aortic valve, the mechanism, incidence, predisposing factors for occurrence, impact on mortality and finally, proposed treatment algorithms for management. CK receives speaking honorarium from Medtronic and Siemens Healthineers. All other authors have no conflicts of interest to declare. Transcatheter aortic valve replacement (TAVR) has been established as a therapeutic option for patients with severe symptomatic aortic stenosis who are considered to be of intermediate, high or prohibitive surgical risk.1–5 As a result of favorable TAVR outcomes and substantial improvements in transcatheter heart valve (THV) technologies and implantation techniques, the feasibility of broadening applications to the low-risk population is being evaluated. This article highlights conduction abnormalities after TAVR with a focus on basic conduction system anatomy in relation to the aortic valve, the mechanism, incidence, predisposing factors for occurrence, impact on mortality, and finally, proposed treatment algorithms for management. 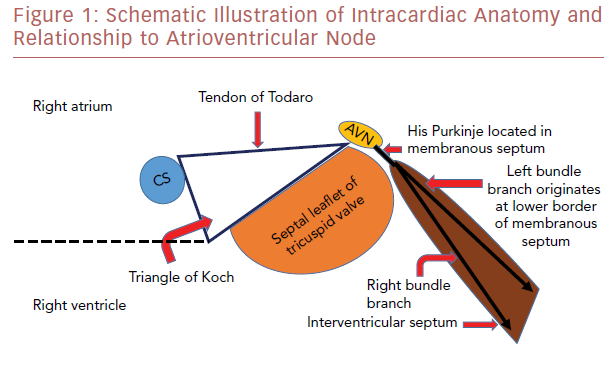 The atrioventricular node (AVN) is located within the triangle of Koch, which is demarcated by the tendon of Todaro, the septal leaflet attachment of the tricuspid valve, and the orifice of the coronary sinus (Figure 1). The AVN continues as the His bundle, tracking through the septum leftward to the central fibrous body. The central fibrous body is the area within the heart where the membranous septum (MS), the atrioventricular valves, and the aortic valve join in continuity. The left bundle branch exits within this area between the non-coronary cusp (NCC) and right coronary cusp (RCC) leaflets and travels along the septal surface of the left ventricular septum.13,14 The close relationship of the AVN and left bundle branch to the subaortic region explains the potential conduction abnormalities after percutaneous THV insertion. LBBB is also a predictor of late PPI after hospital discharge.40,41 In a recent meta-analysis, a higher rate of PPI at 1-year follow up was observed among patients with new-onset LBBB, compared with those who did not develop LBBB.41 The frequency of LBBB after TAVR has decreased significantly over time, especially with MCV THVs. This has been largely attributed to operator experience and the subsequent reduction in implantation depth.42 Nevertheless, the incidence of PPI has remained unchanged over time and has not been affected by operator experience.42 When interrogation of permanent pacemakers are performed, approximately 50% of patients are continuously paced, 25% are intermittently paced, and 25% have adequate atrioventricular conduction without the necessity of pacing. 37 The patient population with persistent LBBB who require PPI and have identifiable need upon follow-up interrogation still require improved understanding. Increased rates of PPI, ranging from 12.4% to 25.5%, have been reported with the use of the newest third-generation ESV SAPIEN 3, when compared with previous generations.43–49 This finding has been attributed to the incorporation of an external fabric cuff in the inferior part of the valve, intended to minimize paravalvular leak. Moreover, different stent expansion patterns of the SAPIEN 3 compared with the SAPIEN XT may play a role.50 In SAPIEN XT, the expansion area increased from the inflow level, reaching its peak at the outflow level; in contrast, the SAPIEN 3 has its largest expansion at the left ventricular outflow tract (LVOT) end, causing elevated localized pressure within the LVOT and thus higher rates of atrioventricular conduction disturbances.50 A higher (>70% aortic extension) valve depth implantation of this newest-generation THV may decrease PPI risk.43,44 Also, the next-generation self-expanding MCV Evolut Pro has been designed with an external pericardial wrap with the intention of reducing paravalvular leak. Early PPI rates in the first 60 patients were reported at 30 days at 11.7%.51 Although 6-month data suggest no significant change in PPI, data for this THV are limited. Advanced heart failure and SCD account for two-thirds of cardiac deaths in post-TAVR patients.62 LVEF ≤40% and new-onset persistent LBBB following TAVR were independently associated with an increased risk of SCD.62 Patients with new-onset persistent LBBB and QRS duration >160 ms had a greater SCD risk and most of them died within 6 months of TAVR.62 No increased risk of SCD was observed in patients with new-onset persistent LBBB and pacemaker implanted before hospital discharge, suggesting HAVB as the main cause of SCD in these patients. 62 The ongoing Ambulatory Electrocardiographic Monitoring for the Detection of High-Degree Atrio-Ventricular Block in Patients With New-onset PeRsistent Left Bundle Branch Block After Transcatheter Aortic Valve Implantation (MARE) study, with continuous EKG recording (up to 3 years) in patients with new-onset persistent LBBB following TAVR should provide more information on this issue. Mauri et al. identified risk factors for PPI following TAVR with a balloon-expandable (SAPIEN 3) THV to be a high LVOT calcium volume in the area below the left coronary cusp and RCC, pre-existing right bundle branch block (RBBB), and lower implantation depth (Table 2).67 Tarantini et al. described a relationship between implantation depth and PPI rate after SAPIEN 3 implantation and proposed an implantation technique aimed at a maximum LVOT extension of the stent frame of less than 8 mm, which would result in a ventricular portion of approximately 40.0% depending on prosthesis size.44 Subsequent studies showed that implantation techniques aimed at a ventricular portion of <30.0% and <25.5% were the best discriminatory thresholds for reduced PPI risk.43,67 Optimal implantation depths for MCV and ESV are between 3 mm and 6 mm and 80% aortic:20% ventricular, respectively. Data from the Copenhagen City Heart Study demonstrated that RBBB was associated with an increased risk for all-cause mortality and adverse cardiovascular outcomes in the general population.70 A large meta-analysis of 19 prospective cohort studies confirmed the same findings; RBBB was associated with an increased risk of mortality in the general population and in patients with heart disease.71 RBBB is a well-recognized risk factor for PPI or late bradycardia in post-TAVR patients.24,72,73 Watanabe et al. evaluated the prognostic effect of pre-existing RBBB in patients undergoing TAVR in a substudy of the Optimized Transcatheter Valvular Intervention (OCEAN-TAVI) registry, which used the SAPIEN XT prosthesis.74 Of 749 patients, 102 (13.6%) had pre-existing RBBB, and this group had a higher incidence of PPI than the group without RBBB (17.6% versus 2.9%).74 Patients with RBBB demonstrated an increased risk of cardiovascular mortality after TAVR, and were at higher risk of cardiac death if discharged without pacemakers (HR 2.6).74 A recent study showed a similar result; RBBB was present on baseline EKG in approximately 10% of patients and associated with higher 30-day rates of PPI and death.75 Patients with pre-existing RBBB should be carefully monitored to detect fatal arrhythmic events after discharge and may require prolonged hospitalization. A study from the PARTNER trial and registry confirmed PPI after TAVR had higher rates of repeat hospitalization and a longer duration of hospitalization, but did not show any association with 1-year mortality.73 Whether more long-term follow-up is needed to better evaluate this risk of PPI on post-TAVR mortality is yet to be determined, particularly as the therapy extends to low-risk aortic stenosis patients. Toggweiler et al. evaluated a cohort of 1,064 patients who underwent TAVR; 6.7% of patients developed delayed HAVB, of which most cases occurred within the first 48 hours, and 2.3% had HAVB at 3–8 days post-TAVR.91 The rates of delayed HAVB in patients with complete RBBB, LBBB, and without bundle branch block (BBB) are 27%, 11%, and 2%, respectively.91 A first-degree AVB was associated with a higher probability of subsequent HAVB.91 Overall, the presence of conduction disorders (BBB, first-degree AVB, or bradycardia in patients with AF) on the EKG post-TAVR had high sensitivity (99.0%) and negative predictive value (99.7%) for the occurrence of delayed HAVB.91 The authors propose a treatment algorithm for the management of conduction abnormalities post-TAVR (Figure 2). Patients without new BBB and first-degree AVB did not develop HAVB at 30 days post-TAVR.91 Moreover, the rate of HAVB was low in patients with AF without BBB or bradycardia.91 The temporary venous pacemaker (TVP) can be removed immediately post-procedure, and telemetry monitoring and a daily 12-lead EKG can be continued. Patients without new BBB and first-degree AVB may be candidates for early discharge. The risk of HAVB is highest in patients with pre-existing RBBB, followed by those with LBBB, and first-degree AVB. It is recommended that TVP is maintained in patients with RBBB and LBBB, and that telemetry monitoring and a daily 12-lead EKG is continued. Avoid atrioventricular nodal blocking agents. In patients with a balloon-expandable THV, consider electrophysiology study if there is a worsening PR interval or the PR interval is >200 ms, or QRS duration is >160 ms in the first 48 hours. However, if the PR interval is stable and QRS duration is <160 ms in the first 48 hours, patients can be discharged home with an event monitor. In patients with a self-expandable THV, consider electrophysiology study with development of a new LBBB. A HV interval >65 ms may be suggestive of a significant conduction abnormality and warrant PPI; patients with a HV interval <65 ms can be discharged home with an event monitor. High-risk patients, such as those with baseline RBBB and bifasicular blocks, may warrant long-term monitoring with an implantable loop recorder if early event monitoring is unremarkable. TAVR represents a valid option for treatment of severe symptomatic aortic stenosis. Post-TAVR conduction abnormalities are still a common complication following both self- and balloon-expandable THVs. Predictors of TAVR-induced LBBB and PPI depend on baseline patient characteristics such as preoperative EKG pattern, anatomy of the AVN, His bundle, and surrounding structures, as well as intra-procedural technical factors. There is no consensus on how to prevent and/or treat post-TAVR conduction abnormalities. Protocols vary among operators and valve centers. New generation THVs and modified techniques for valve implantation may help to reduce the prevalence of PPI. Further studies are required to validate and establish universal algorithms to manage conduction abnormalities following TAVR, irrespective of the prosthesis type. Adams DH, Popma JJ, Reardon MJ, et al. Transcatheter aortic-valve replacement with a self-expanding prosthesis. N Engl J Med 2014;370:1790–8. van der Boon RM, Nuis RJ, Van Mieghem NM, et al. New conduction abnormalities after TAVI – frequency and causes. Nat Rev Cardiol 2012;9:454–63. Urena M, Rodes-Cabau J. Conduction abnormalities: the true Achilles’ heel of transcatheter aortic valve replacement? JACC Cardiovasc Interv 2016;9:2217–9. Urena M, Rodes-Cabau J. 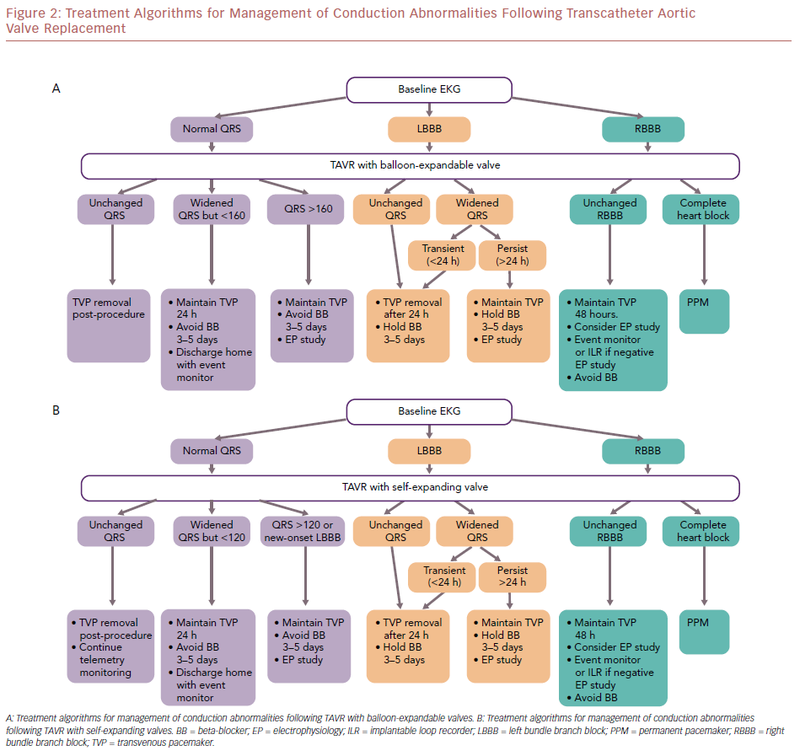 Managing heart block after transcatheter aortic valve implantation: from monitoring to device selection and pacemaker indications. EuroIntervention 2015;11(Suppl W):W101–5. Kappetein AP, Head SJ, Genereux P, et al. 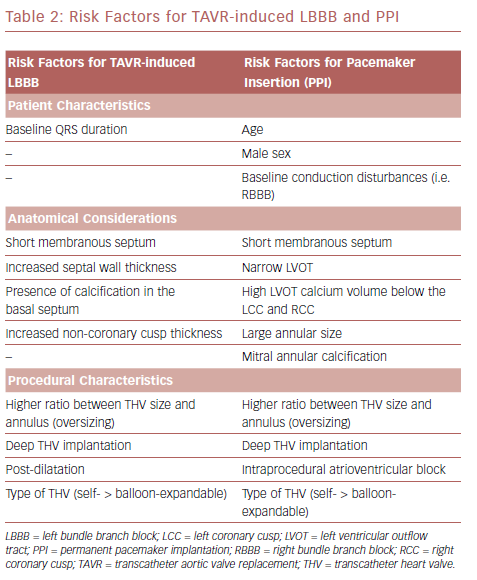 Updated standardized endpoint definitions for transcatheter aortic valve implantation: the Valve Academic Research Consortium-2 consensus document. J Am Coll Cardiol 2012;60:1438–54. Barbanti M, Capranzano P, Ohno Y, et al. Early discharge after transfemoral transcatheter aortic valve implantation. Heart 2015;101:1485–90. Durand E, Eltchaninoff H, Canville A, et al. Feasibility and safety of early discharge after transfemoral transcatheter aortic valve implantation with the Edwards SAPIEN-XT prosthesis. Am J Cardiol 2015;115:1116–22. Noad RL, Johnston N, McKinley A, et al. A pathway to earlier discharge following TAVI: assessment of safety and resource utilization. Catheter Cardiovasc Interv 2016;87:134–42. Piazza N, de Jaegere P, Schultz C, et al. Anatomy of the aortic valvar complex and its implications for transcatheter implantation of the aortic valve. Circ Cardiovasc Interv 2008;1:74–81. Kawashima T, Sato F. Visualizing anatomical evidences on atrioventricular conduction system for TAVI. Int J Cardiol 2014;174:1–6. El-Khally Z, Thibault B, Staniloae C, et al. Prognostic significance of newly acquired bundle branch block after aortic valve replacement. Am J Cardiol 2004;94:1008–11. Van Mieghem NM, Head SJ, de Jong W, et al. Persistent annual permanent pacemaker implantation rate after surgical aortic valve replacement in patients with severe aortic stenosis. Ann Thorac Surg 2012;94:1143–9. Habicht JM, Scherr P, Zerkowski HR, Hoffmann A. Late conduction defects following aortic valve replacement. J Heart Valve Dis 2000;9:629–32. Tjang YS, van Hees Y, Korfer R, et al. Predictors of mortality after aortic valve replacement. Eur J Cardiothorac Surg 2007;32:469–74. Ennker J, Albert A, Ennker IC. Stentless aortic valves. Current aspects. HSR Proc Intensive Care Cardiovasc Anesth 2012;4:77–82. van Boxtel AG, Houthuizen P, Hamad MA, et al. Postoperative conduction disorders after implantation of the self-expandable sutureless Perceval S bioprosthesis. J Heart Valve Dis 2014;23:319–24. Regeer MV, Merkestein LR, de Weger A, et al. Left bundle branch block after sutureless, transcatheter, and stented biological aortic valve replacement for aortic stenosis. EuroIntervention 2017;12:1660–6. Blanke P, Willson AB, Webb JG, et al. Oversizing in transcatheter aortic valve replacement, a commonly used term but a poorly understood one: dependency on definition and geometrical measurements. J Cardiovasc Comput Tomogr 2014;8:67–76. Bax JJ, Delgado V, Bapat V, et al. Open issues in transcatheter aortic valve implantation. Part 2: procedural issues and outcomes after transcatheter aortic valve implantation. Eur Heart J 2014;35:2639–54. Siontis GC, Juni P, Pilgrim T, et al. Predictors of permanent pacemaker implantation in patients with severe aortic stenosis undergoing TAVR: a meta-analysis. J Am Coll Cardiol 2014;64:129–40. Testa L, Latib A, De Marco F, et al. Clinical impact of persistent left bundle-branch block after transcatheter aortic valve implantation with CoreValve Revalving System. Circulation 2013;127:1300–7. Houthuizen P, Van Garsse LA, Poels TT, et al. Left bundle-branch block induced by transcatheter aortic valve implantation increases risk of death. Circulation 2012;126:720–8. De Carlo M, Giannini C, Bedogni F, et al. Safety of a conservative strategy of permanent pacemaker implantation after transcatheter aortic CoreValve implantation. Am Heart J 2012;163:492–9. Aktug O, Dohmen G, Brehmer K, et al. Incidence and predictors of left bundle branch block after transcatheter aortic valve implantation. Int J Cardiol 2012;160:26–30. Nuis RJ, Van Mieghem NM, Schultz CJ, et al. Timing and potential mechanisms of new conduction abnormalities during the implantation of the Medtronic CoreValve System in patients with aortic stenosis. Eur Heart J 2011;32:2067–74. Tzikas A, van Dalen BM, Van Mieghem NM, et al. Frequency of conduction abnormalities after transcatheter aortic valve implantation with the Medtronic-CoreValve and the effect on left ventricular ejection fraction. Am J Cardiol 2011;107:285–9. Khawaja MZ, Rajani R, Cook A, et al. Permanent pacemaker insertion after CoreValve transcatheter aortic valve implantation: incidence and contributing factors (the UK CoreValve Collaborative). Circulation 2011;123:951–60. Piazza N, Nuis RJ, Tzikas A, et al. Persistent conduction abnormalities and requirements for pacemaking six months after transcatheter aortic valve implantation. EuroIntervention 2010;6:475–84. Urena M, Mok M, Serra V, et al. Predictive factors and long-term clinical consequences of persistent left bundle branch block following transcatheter aortic valve implantation with a balloon-expandable valve. J Am Coll Cardiol 2012;60:1743–52. Laynez A, Ben-Dor I, Barbash IM, et al. Frequency of conduction disturbances after Edwards SAPIEN percutaneous valve implantation. Am J Cardiol 2012;110:1164–8. Abdel-Wahab M, Mehilli J, Frerker C, et al. Comparison of balloon-expandable vs self-expandable valves in patients undergoing transcatheter aortic valve replacement: the CHOICE randomized clinical trial. JAMA 2014;311:1503–14. Barbanti M, Gulino S, Costa G, Tamburino C. Pathophysiology, incidence and predictors of conduction disturbances during Transcatheter Aortic Valve Implantation. Expert Rev Med Devices 2017;14:135–47. Boerlage-Van Dijk K, Kooiman KM, Yong ZY, et al. Predictors and permanency of cardiac conduction disorders and necessity of pacing after transcatheter aortic valve implantation. Pacing Clin Electrophysiol 2014;37:1520–9. Urena M, Webb JG, Cheema A, et al. Impact of new-onset persistent left bundle branch block on late clinical outcomes in patients undergoing transcatheter aortic valve implantation with a balloon-expandable valve. 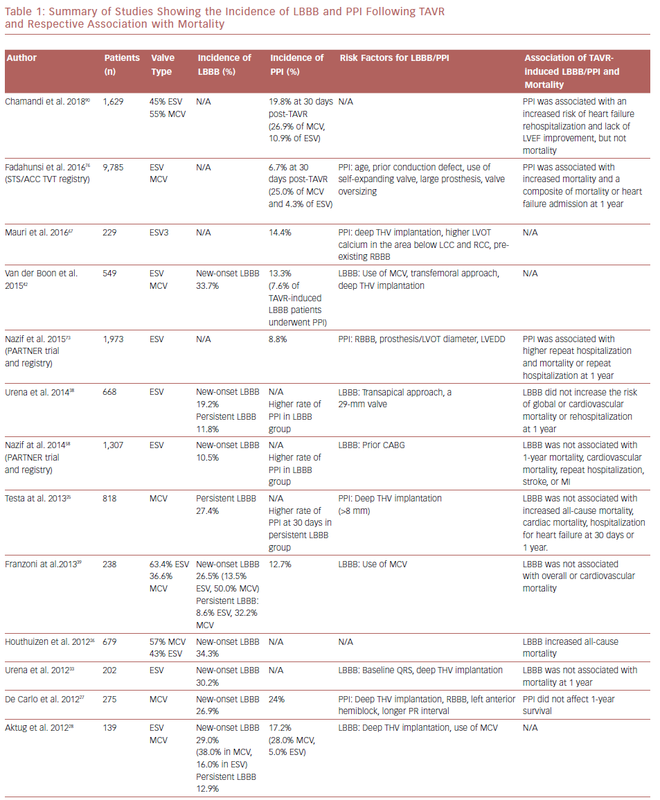 JACC Cardiovasc Interv 2014;7:128–36. Franzoni I, Latib A, Maisano F, et al. Comparison of incidence and predictors of left bundle branch block after transcatheter aortic valve implantation using the CoreValve versus the Edwards valve. Am J Cardiol 2013;112:554–9. Auffret V, Puri R, Urena M, et al. Conduction disturbances after transcatheter aortic valve replacement: current status and future perspectives. Circulation 2017;136:1049–69. Regueiro A, Abdul-Jawad Altisent O, Del Trigo M, et al. 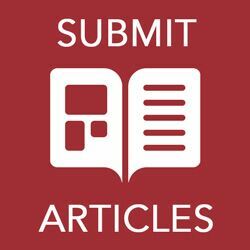 Impact of new-onset left bundle branch block and periprocedural permanent pacemaker implantation on clinical outcomes in patients undergoing transcatheter aortic valve replacement: a systematic review and meta-analysis. Circ Cardiovasc Interv 2016;9:e003635. van der Boon RM, Houthuizen P, Urena M, et al. Trends in the occurrence of new conduction abnormalities after transcatheter aortic valve implantation. Catheter Cardiovasc Interv 2015;85:E144–52. De Torres-Alba F, Kaleschke G, Diller GP, et al. Changes in the pacemaker rate after transition from Edwards SAPIEN XT to SAPIEN 3 transcatheter aortic valve implantation: the critical role of valve implantation height. JACC Cardiovasc Interv 2016;9:805–13. Tarantini G, Mojoli M, Purita P, et al. Unravelling the (arte)fact of increased pacemaker rate with the Edwards SAPIEN 3 valve. EuroIntervention 2015;11:343–50. Webb J, Gerosa G, Lefevre T, et al. Multicenter evaluation of a next-generation balloon-expandable transcatheter aortic valve. J Am Coll Cardiol 2014;64:2235–43. Murray MI, Geis N, Pleger ST, et al. First experience with the new generation Edwards Sapien 3 aortic bioprosthesis: procedural results and short term outcome. J Interv Cardiol 2015;28:109–16. Binder RK, Stortecky S, Heg D, et al. Procedural results and clinical outcomes of transcatheter aortic valve implantation in Switzerland: an observational cohort study of Sapien 3 versus Sapien XT Transcatheter heart valves. Circ Cardiovasc Interv 2015;8. Schymik G, Lefevre T, Bartorelli AL, et al. European experience with the second-generation Edwards SAPIEN XT transcatheter heart valve in patients with severe aortic stenosis: 1-year outcomes from the SOURCE XT Registry. JACC Cardiovasc Interv 2015;8:657–69. Gilard M, Eltchaninoff H, Iung B, et al. Registry of transcatheter aortic-valve implantation in high-risk patients. N Engl J Med 2012;366:1705–15. Kazuno Y, Maeno Y, Kawamori H, et al. Comparison of SAPIEN 3 and SAPIEN XT transcatheter heart valve stent-frame expansion: evaluation using multi-slice computed tomography. Eur Heart J Cardiovasc Imaging 2016;17:1054–62. Forrest JK, Mangi AA, Popma JJ, et al. Early Outcomes With the Evolut PRO Repositionable Self-Expanding Transcatheter Aortic Valve With Pericardial Wrap. JACC Cardiovasc Interv 2018;11:160–8. Zannad F, Huvelle E, Dickstein K, et al. Left bundle branch block as a risk factor for progression to heart failure. Eur J Heart Fail 2007;9:7–14. Zhang ZM, Rautaharju PM, Soliman EZ, et al. Mortality risk associated with bundle branch blocks and related repolarization abnormalities (from the Women’s Health Initiative [WHI]). Am J Cardiol 2012;110:1489–95. Gutierrez M, Rodes-Cabau J, Bagur R, et al. Electrocardiographic changes and clinical outcomes after transapical aortic valve implantation. Am Heart J 2009;158:302–8. Sinhal A, Altwegg L, Pasupati S, et al. Atrioventricular block after transcatheter balloon expandable aortic valve implantation. JACC Cardiovasc Interv 2008;1:305–9. Piazza N, Onuma Y, Jesserun E, et al. Early and persistent intraventricular conduction abnormalities and requirements for pacemaking after percutaneous replacement of the aortic valve. JACC Cardiovasc Interv 2008;1:310–6. Godin M, Eltchaninoff H, Furuta A, et al. Frequency of conduction disturbances after transcatheter implantation of an Edwards Sapien aortic valve prosthesis. Am J Cardiol 2010;106:707–12. Nazif TM, Williams MR, Hahn RT, et al. Clinical implications of new-onset left bundle branch block after transcatheter aortic valve replacement: analysis of the PARTNER experience. Eur Heart J 2014;35:1599–607. Vernooy K, Verbeek XA, Peschar M, et al. Left bundle branch block induces ventricular remodelling and functional septal hypoperfusion. Eur Heart J 2005;26:91–8. Saji M, Murai T, Tobaru T, et al. Autopsy finding of the Sapien XT valve from a patient who died suddenly after transcatheter aortic valve replacement. Cardiovasc Interv Ther 2013;28:267–71. Urena M, Webb JG, Eltchaninoff H, et al. Late cardiac death in patients undergoing transcatheter aortic valve replacement: incidence and predictors of advanced heart failure and sudden cardiac death. J Am Coll Cardiol 2015;65:437–48. Hamdan A, Guetta V, Klempfner R, et al. Inverse relationship between membranous septal length and the risk of atrioventricular block in patients undergoing transcatheter aortic valve implantation. JACC Cardiovasc Interv 2015;8:1218–28. Roten L, Wenaweser P, Delacretaz E, et al. Incidence and predictors of atrioventricular conduction impairment after transcatheter aortic valve implantation. Am J Cardiol 2010;106:1473–80. Guetta V, Goldenberg G, Segev A, et al. Predictors and course of high-degree atrioventricular block after transcatheter aortic valve implantation using the CoreValve Revalving System. Am J Cardiol 2011;108:1600–5. Lenders GD, Collas V, Hernandez JM, et al. Depth of valve implantation, conduction disturbances and pacemaker implantation with CoreValve and CoreValve Accutrak system for Transcatheter Aortic Valve Implantation, a multi-center study. Int J Cardiol 2014;176:771–5. Mauri V, Reimann A, Stern D, et al. Predictors of permanent pacemaker implantation after transcatheter aortic valve replacement with the SAPIEN 3. JACC Cardiovasc Interv 2016;9:2200–9. Jilaihawi H, Chin D, Vasa-Nicotera M, et al. Predictors for permanent pacemaker requirement after transcatheter aortic valve implantation with the CoreValve bioprosthesis. Am Heart J 2009;157:860–6. Tzamtzis S, Viquerat J, Yap J, et al. Numerical analysis of the radial force produced by the Medtronic-CoreValve and Edwards-SAPIEN after transcatheter aortic valve implantation (TAVI). Med Eng Phys 2013;35:125–30. Bussink BE, Holst AG, Jespersen L, et al. Right bundle branch block: prevalence, risk factors, and outcome in the general population: results from the Copenhagen City Heart Study. Eur Heart J 2013;34:138–46. Xiong Y, Wang L, Liu W, et al. The prognostic significance of right bundle branch block: a meta-analysis of prospective cohort studies. Clin Cardiol 2015;38:604–13. Chorianopoulos E, Krumsdorf U, Pleger ST, et al. Incidence of late occurring bradyarrhythmias after TAVI with the self-expanding CoreValve® aortic bioprosthesis. Clin Res Cardiol 2012;101:349–55. Nazif TM, Dizon JM, Hahn RT, et al. Predictors and clinical outcomes of permanent pacemaker implantation after transcatheter aortic valve replacement: the PARTNER (Placement of AoRtic TraNscathetER Valves) trial and registry. JACC Cardiovasc Interv 2015;8:60–9. Watanabe Y, Kozuma K, Hioki H, et al. Pre-existing right bundle branch block increases risk for death after transcatheter aortic valve replacement with a balloon-expandable valve. JACC Cardiovasc Interv 2016;9:2210–6. Auffret V, Webb JG, Eltchaninoff H, et al. Clinical Impact of baseline right bundle branch block in patients undergoing transcatheter aortic valve replacement. JACC Cardiovasc Interv 2017;10:1564–74. Fadahunsi OO, Olowoyeye A, Ukaigwe A, et al. Incidence, predictors, and outcomes of permanent pacemaker implantation following transcatheter aortic valve replacement: analysis from the U.S. Society of Thoracic Surgeons/American College of Cardiology TVT Registry. JACC Cardiovasc Interv 2016;9:2189–99. Baan J Jr, Yong ZY, Koch KT, et al. Factors associated with cardiac conduction disorders and permanent pacemaker implantation after percutaneous aortic valve implantation with the CoreValve prosthesis. Am Heart J 2010;159:497–503. Chevreul K, Brunn M, Cadier B, et al. Cost of transcatheter aortic valve implantation and factors associated with higher hospital stay cost in patients of the FRANCE (FRench Aortic National CoreValve and Edwards) registry. Arch Cardiovasc Dis 2013;106:209–19. Babaliaros V, Devireddy C, Lerakis S, et al. Comparison of transfemoral transcatheter aortic valve replacement performed in the catheterization laboratory (minimalist approach) versus hybrid operating room (standard approach): outcomes and cost analysis. JACC Cardiovasc Interv 2014;7:898–904. Reynolds MR, Magnuson EA, Lei Y, et al. Cost-effectiveness of transcatheter aortic valve replacement compared with surgical aortic valve replacement in high-risk patients with severe aortic stenosis: results of the PARTNER (Placement of Aortic Transcatheter Valves) trial (Cohort A). J Am Coll Cardiol 2012;60:2683–92. Urena M, Webb JG, Tamburino C, et al. Permanent pacemaker implantation after transcatheter aortic valve implantation: impact on late clinical outcomes and left ventricular function. Circulation 2014;129:1233–43. Buellesfeld L, Stortecky S, Heg D, et al. Impact of permanent pacemaker implantation on clinical outcome among patients undergoing transcatheter aortic valve implantation. J Am Coll Cardiol 2012;60:493–501. Steinberg BA, Harrison JK, Frazier-Mills C, et al. Cardiac conduction system disease after transcatheter aortic valve replacement. Am Heart J 2012;164:664–71. Akin I, Kische S, Schneider H, et al. Surface and intracardiac ECG for discriminating conduction disorders after CoreValve implantation. Clin Res Cardiol 2012;101:357–64. Steinberg JS, Fischer A, Wang P, et al. The clinical implications of cumulative right ventricular pacing in the multicenter automatic defibrillator trial II. J Cardiovasc Electrophysiol 2005;16:359–65. Hoffmann R, Herpertz R, Lotfipour S, et al. Impact of a new conduction defect after transcatheter aortic valve implantation on left ventricular function. JACC Cardiovasc Interv 2012;5:1257–63. Dizon JM, Nazif TM, Hess PL, et al. Chronic pacing and adverse outcomes after transcatheter aortic valve implantation. Heart 2015;101:1665–71. Chamandi C, Barbanti M, Munoz-Garcia A, et al. Long-term outcomes in patients with new permanent pacemaker implantation following transcatheter aortic valve replacement. JACC Cardiovasc Interv 2018;11:301–10. Toggweiler S, Stortecky S, Holy E, et al. The Electrocardiogram after transcatheter aortic valve replacement determines the risk for post-procedural high-degree AV Block and the need for telemetry monitoring. JACC Cardiovasc Interv 2016;9:1269–76. Epstein AE, DiMarco JP, Ellenbogen KA, et al. 2012 ACCF/AHA/HRS focused update incorporated into the ACCF/AHA/HRS 2008 guidelines for device-based therapy of cardiac rhythm abnormalities: a report of the American College of Cardiology Foundation/American Heart Association Task Force on Practice Guidelines and the Heart Rhythm Society. J Am Coll Cardiol 2013;61:e6–75.